This is neat, now Google will show you how bad it is when you block specific content, assets or resources from GoogleBot in the Fetch and Render tool within the Google Search Console. 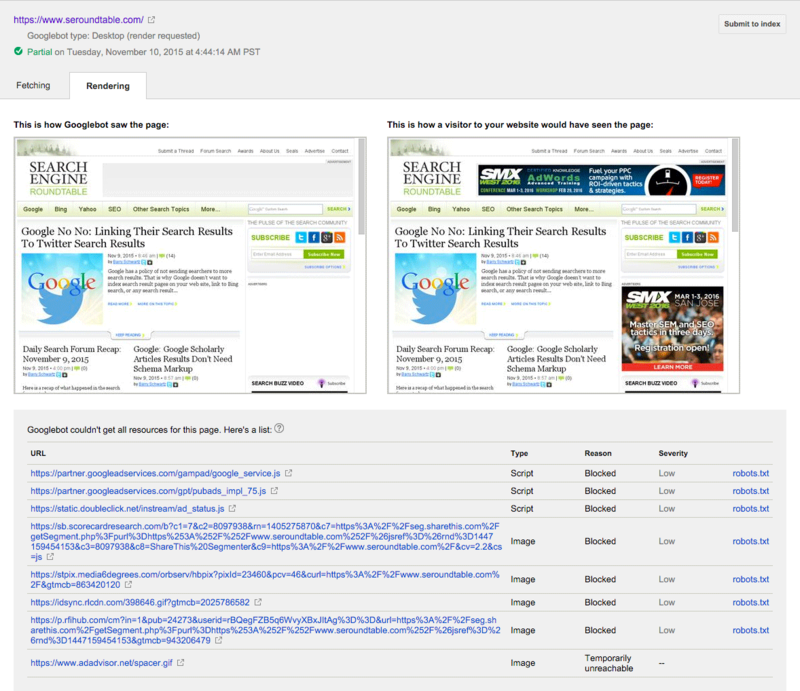 John Mueller announced this on Google+ saying "Search Console now shows the estimated severity of blocked resources with the Fetch & Render tool." Items such as "embedded content (like images, scripts, CSS files, etc) sometimes plays a big role in how Google's able to render & index a page for search," John Mueller added. 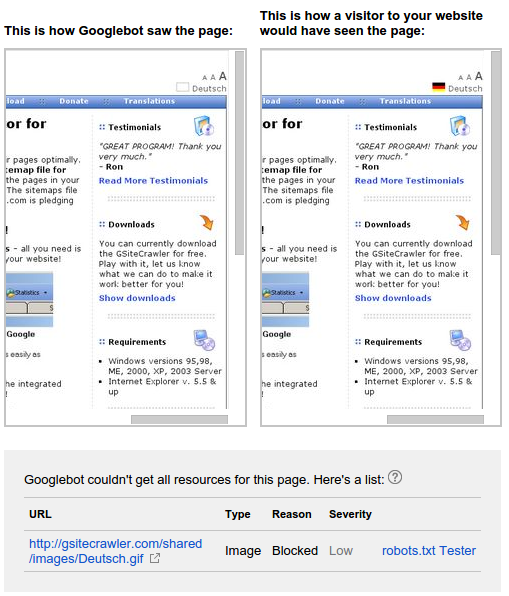 Now you know if it is critical or not to unblock a resource for GoogleBot to see. Assuming Google gets it right. Here is a screen shot of this home page, showing that the only items blocked are "low" severity because I guess they are Google embeds mostly. This is great, because a common question Google gets is how important is it that I unblock this or that resource. Now Google is telling you! Very very cool and nice feature add Google!